The magic word these days is ‘creativity’. And not just for artists: managers and policymakers alike demand creativity. Even family therapists and mediators urge us to find more creative solutions. Nowadays, creativity is all about positive morality. We expect nothing but good from it. But what remains of the meaning of the word when just about everybody is using it to death? And where does this hunger for creativity come from? Isn’t it instead a sign of a creeping loss of true creativity? This essay primarily concerns itself with the social context of creativity. Pascal Gielen relates the story of the process of the social (re)creation of creativity by taking you on an eight-day journey. 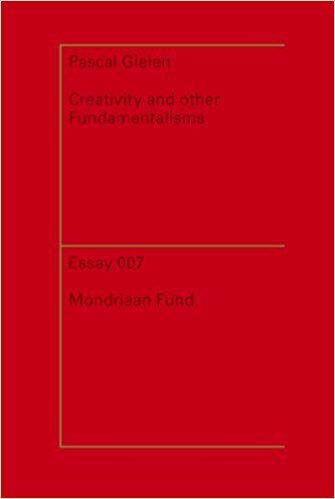 This is the seventh edition in a series of essays commissioned by the Mondriaan Fund.